Last night, on the Bolshoi’s Historical Stage, the recipients of the Benois de la Danse prizes for 2017 were announced. Crystal Pite won the prize for Best Choreographer for The Seasons’ Canon, commissioned by the Paris Opera Ballet. 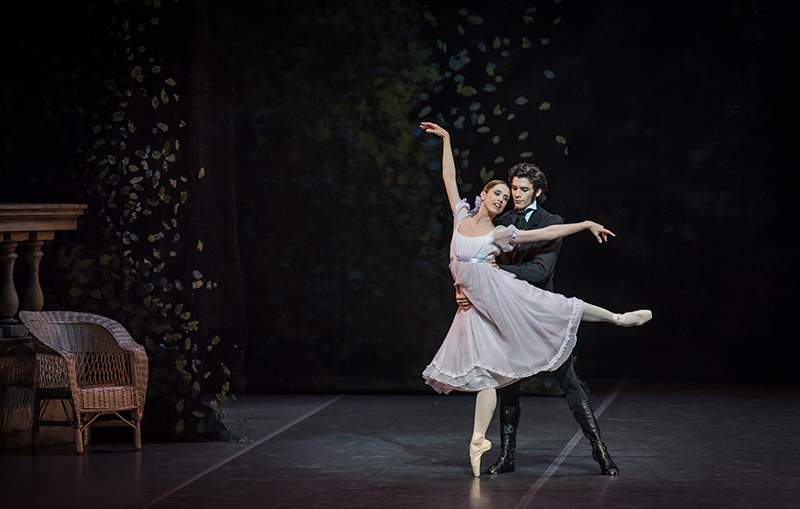 Of the six nominated ballerinas, Ludmila Pagliero was awarded for her performance in Jerome Robbins’ Other Dances at the POB, and Maria Riccetto for her Tatiana in Onegin for the Ballet Nacional SODRE in Uruguay. Two Best Dancers were announced this year: Hugo Marchand as Romeo in Rudolf Nureyev’s Romeo and Juliet for the POB and Denis Rodkin as Solor in La Bayadère for the Bolshoi Ballet. The jury consisted of Svetlana Zakharova, Sue Jin Kang, Julie Kent, Julio Bocca, Manuel Legris, Brigitte Lefèvre, Jorma Elo, and Juri Grigorovich as the President of the jury. There was also a Lifetime Achievement award which was presented to Marcia Haydée. Tonight a Charity Gala will conclude the Benois de la Danse 2017.